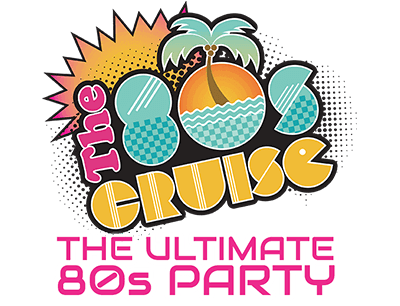 ACTIVITIES & EVENTS - The 80s Cruise 2018 - The Ultimate 80s Party! 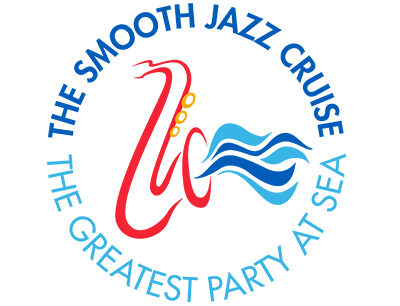 The 80s Cruise features some of the biggest music acts and Artists of the decade. Each night we will feature one of our headline entertainers in our Main Stage Theatre with guaranteed seating for all. Also, every night you will be treated to delicious dining in one of the many restaurants onboard. So what happens afterwards? That’s easy, we open up the cruise in a festival style atmosphere where various venues and lounges will feature more music acts and Artists, themed parties and dancing, game shows & fun with our celebrities onboard plus a lot more until the early hours of the morning. During the days when we’re not enjoying the lush and tropical ports of call, we have a ton of events from 80s themed pool parties, Q&A Events & Music Seminars with the Original MTV VJs, Karaoke, Trivia Sessions, Video-Game Competitions and a heap more all week long! You can go to the regular old gym anytime – but how often can you slide into some shiny tights, pull on a neon leotard, grab a headband and work up a sweat while listening to awesome 80s tracks? Our aerobics classes outside on the deck are super cool – great music, great 80s fashion, and yeah, you get some exercise. Don’t miss it. Oh come on, admit it. You know you totally belt out “Livin’ on a Prayer,” “Girls Just Want to Have Fun” and “Thriller” when you hear them on the radio. Whether you’re in the shower or in the car, you know every word to “Love Shack.” So don’t be shy, grab your friends, pick a few favorite 80s songs and head over to our karaoke jam sessions. Yes, it’s true, there is a television channel in every stateroom dedicated to showing all the best TV shows and movies from the 80s 24/7. We will also be showing some of the biggest movies of the 1980s on our big screen under the stars. Join us for screenings of “Purple Rain,” “Top Gun,” “Ferris Bueller’s Day Off,” “Pretty in Pink,” and many more. Remember when you were the “Twister “champion? Neither does anyone else, but here’s your chance for redemption. It’s just one of the great 80s games you can play at our Board Game Challenge – there’s also “Operation,” “Connect Four” and “Trouble” – surely you’re good at one of them? Compete against your fellow passengers and win some great prizes. Everyday is Sunday Funday on the pool deck. Of course, there’s always great live music, but our 80s crew loves to keep the party going with fun games and activities whenever the ship is at sea. From ping-pong tournaments and limbo contests, to scavenger hunts and hairy chest contests, you’ll be entertained and laughing all day long. We are going to have a full-on Cannonball contest at the pool. You will be judged on Costume, Performance and of course how big of a SPLASH you make. Remember Family Feud, Wheel of Fortune and the 100,000 Pyramid? You loved watching game shows in the 80s and we promise our twist on the classic TV game show will have you laughing all night long. Don’t miss your chance to compete against our original MTV VJ hosts and even a few of our musical guests and win some great prizes. “Everybody have fun tonight!” Well, everybody has fun every night on the 80s Cruise – but VIP treatment including free drinks and yummy appetizers delivered to you on silver trays make this party a can’t miss event. Just don the complimentary t-shirt you receive on board the ship, and show up ready for an hour of great 80s music and VIP service. You think you know everything there is to know about the 80s? The music, the movies, the fashion – I mean, you lived it, right? Well, all right then smarty-pants, put your brilliance to the test during one of our Big 80s Trivia competitions. There are prizes, so you might want to study or at least watch a John Hughes movie. Even it you don’t win, you’ll totally have fun. In the 80s, if you weren’t out skating on Friday night, you were in the arcade going through the quarters you’d saved all week. Well, there’s still nothing as addictively awesome as Donkey Kong and Mario Bros. – except of course Pac-Man. We make the games even more fun by adding competitions, with prizes, of course! The 80s Cruise is taking over the island for the day, we’re going to throw one hell of an 80’s Beach Party – Our 80’s DJ’s will be spinning all the hits and taking you back to the decade of crimped hair, neon colors and incredible music! 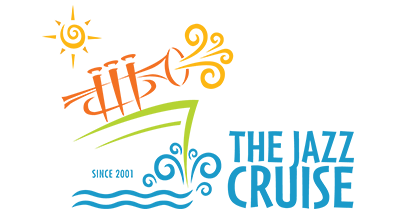 Join in on our island-wide 80’s Scavenger Hunt, Beach Volleyball, Limbo Competitions and much, much more. That’s right—we are starting this awesome week long 80s party on St. Patrick’s Day... This night we are going GREEN! Green mohawks, Green spandex, Green eyeshadow, Green leggings and, of course, Green beer! The 80s Cruise is going to have a St. Patrick’s Day block party complete with pub crawls, green beads, dueling pianos, games, Irish 80s rock music and—oh yeah—Green Beer! You can’t have The 80s Cruise without a night dedicated totally to the many styles of the decade. Weather you were a Jock, Nerd, Punk, Dweeb, Preppy or Rocker, you had your 80s style, and we encourage you to show it off again... So get your crimped hair, short shorts, Members Only jackets, skinny ties and spandex and join us for the Back to the 80s party! Big Hair and loud guitar riffs ruled the 80s. Whether you were a fan or not, you couldn’t help but be entertained by all those GLAM rock bands of the era. Guys that looked like girls, and chicks that were tough as nails. Is it leather and lace, bandanas and big hair, or spandex and skin? We invite you to channel your inner rocker as we have our very own head bangers' ball on The 80s Cruise. One of our guests' favorite theme nights returns brighter and bigger than ever! What better way to party into the night in your Loudest and Brightest Florescent colored beachwear but with the Caribbean sounds of Billy Ocean, as he headlines the night! This Neon night will also feature our Caribbean BBQ on deck and a Late Night, black light Pool party with our very own Jessie’s Girl to keep you hopping all night. Were taking you back to that magical night as we transform the ship into 80s Prom Night. Pull out those old dresses and suits and join our 2018 host Rick Springfield for a night of dining, dancing to your favorite 80s songs and, of course, the crowning of the King and Queen of the Prom. Maybe you will even get lucky! The 80s was full of pop icons that we just couldn’t get enough of—Michael Jackson, Madonna, Ferris Bueller, The Smurfs, Rubik’s Cubes, Prince, Super Mario, Pac-Man, Ghost Busters, Tom Cruise, Boy George and many more. So, let your imagination run wild as you go as your favorite iconic star, game or toy. This is a night you won’t want to miss, as it is the best costume night of the cruise.